We have tried diet centers, liquid fasts, pills, shots, even surgery, to no avail. The numbers on the scale keep climbing. Could it be that we have been looking for the answer to our weight issue in the wrong places? 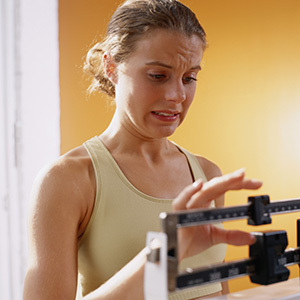 We are a nation crying out for a new solution to our health crisis, as 64 percent of Americans are overweight or obese. Americans spend $40 billion a year trying to lose weight, yet we are heavier than ever. One suggestion might be to look within ourselves. That may seem like a far-fetched and even scary thought for some of us. That is because we have been trained our whole lives to look outside of ourselves. Plus, it is convenient. It is a great way for us to keep blaming our weight challenges on our circumstances, such as our spouse, children, job, boss and any other thing that crosses our path. But how might things be different if we looked within ourselves for the solution to our weight loss? For one thing, the blaming game would end. We would start taking responsibility for our bodies and how we treat them. We would know that the food does not magically pop into our mouths, but that we put it there. We would know how vital it is to move our bodies in the way they were intended, for movement is a natural and basic part of life. And finally, we would intuitively know that we need to quiet our minds and rejuvenate our souls on a daily basis. Bronwyn Marmo is the author of The Food Is A Lie: The Truth Is Within, A Spiritual Solution to Weight Loss and Balanced Health. Her wisdom and compassion come from having personally lived the life of obesity. 480-314-3333 or www.TheFoodIsALie.com.